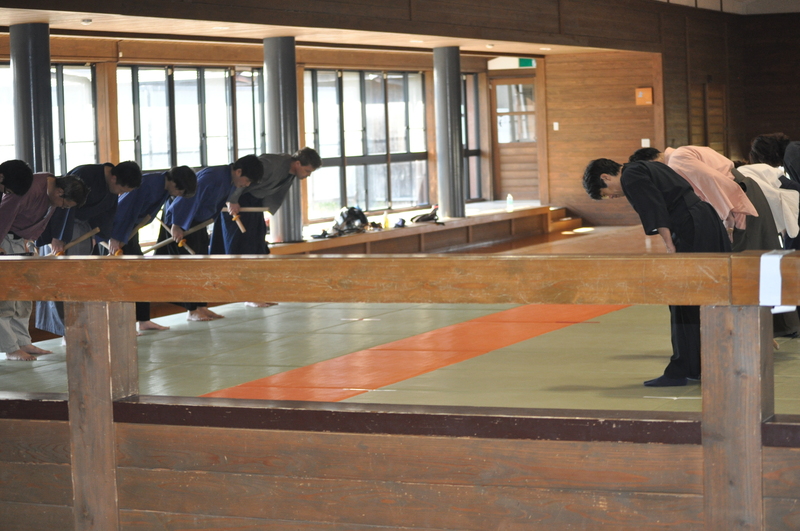 Intensive Training March, 2014 – the first day – Corrections and more corrections. 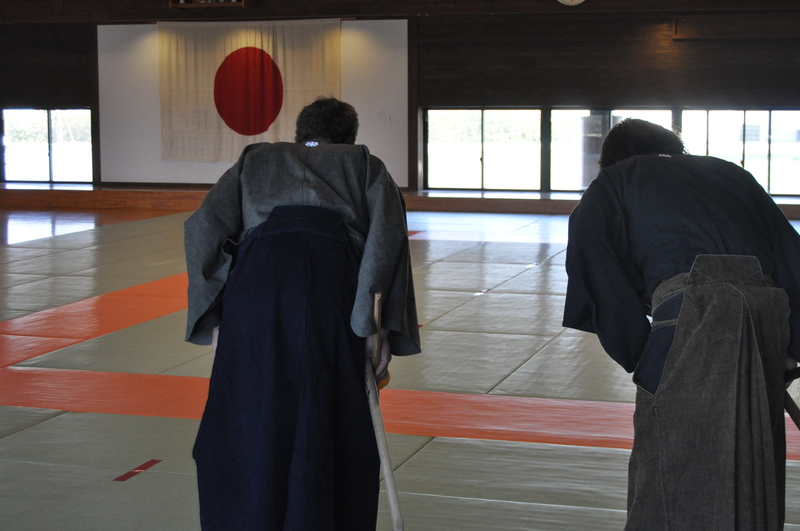 Members of the four study groups who travel to the Yastushiro dojo for training are able to take part in the Intensive Training sessions which run from 10:00 am to 4:00 pm. Here are a few shots from my first day – I was terrible. 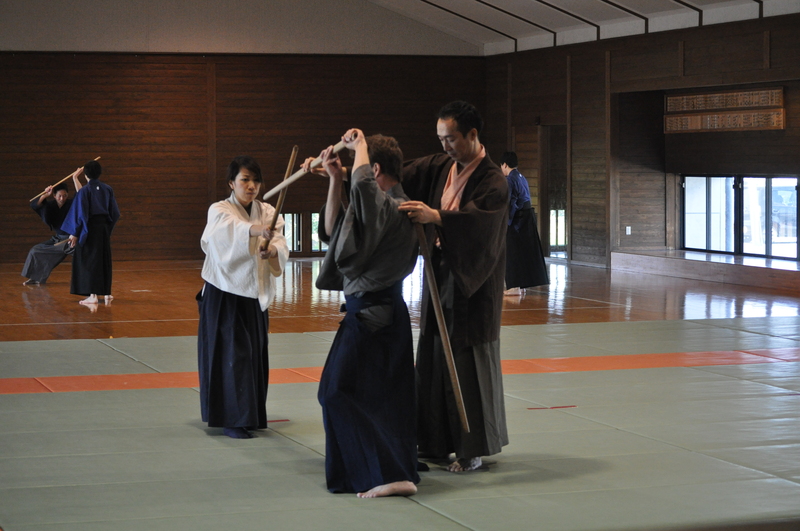 Taisha-ryu being a koryu style that was created during the Sengoku Jidai for use on 16th century battlefields is very different to anything I’d studied before in my twelve years of iaido and kenjutsu – believe me, it’s harder than it looks in these pictures. 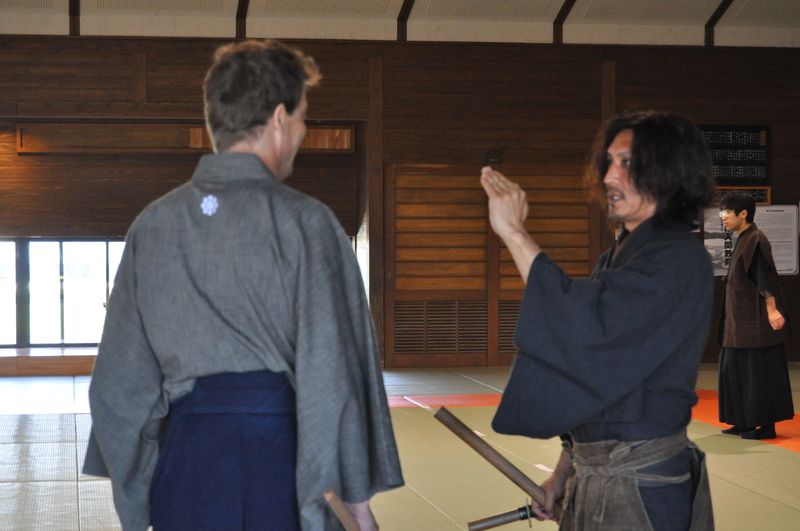 Here are a couple of photos showing Go-san and I being accepted into the Taisha-ryu by Yamamoto-sensei. 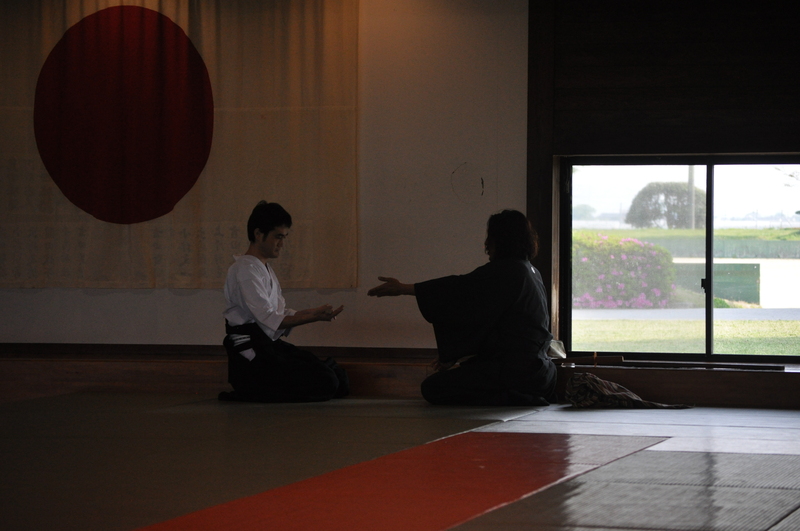 Me on the 22nd of March and Go-san on the 17th of April 2014.